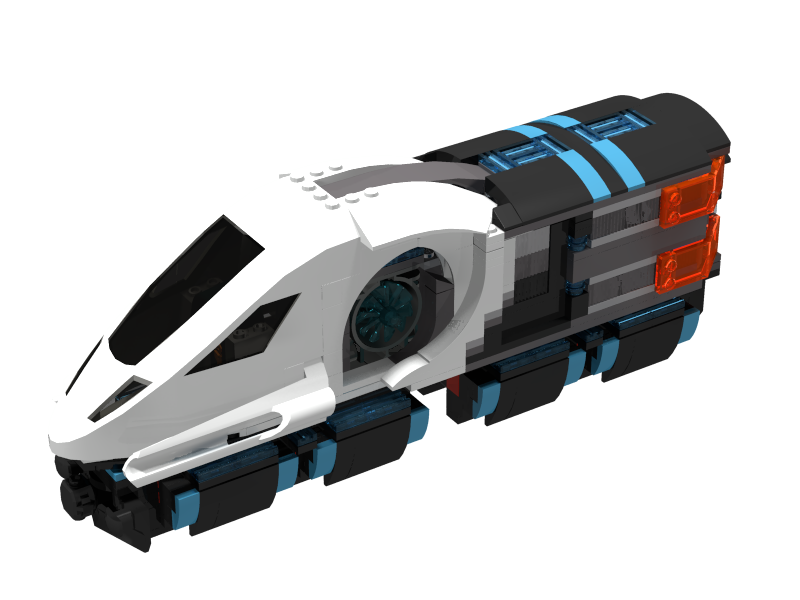 A neon-future/cyberpunk themed commuter train built to 8 studs wide. Motorised train engine using power functions receiver 58123 with a motor and battery. 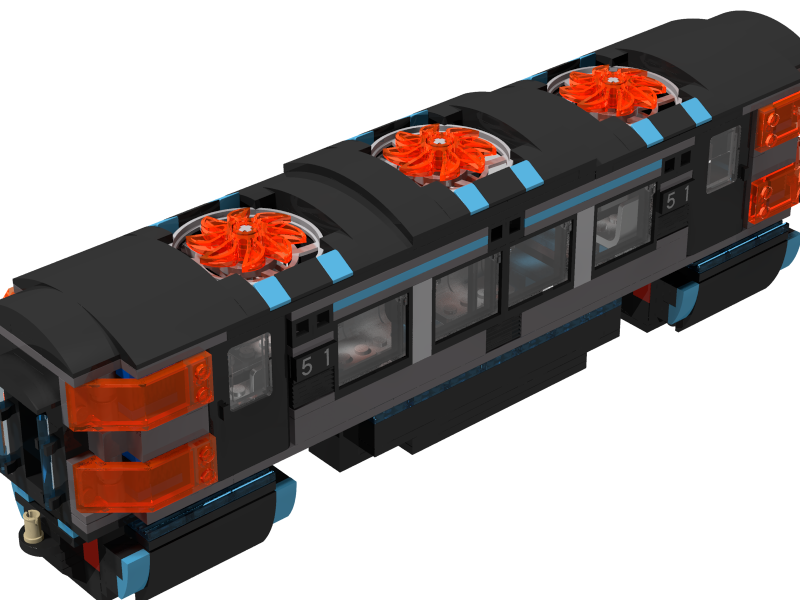 Carriage and engine are connected via a Technic arm, but can be easily converted to a train magnet coupling to make it compatible with other Lego trains. Carriage features seats and handpoles for commuters, as well as ceiling ventilation fans. 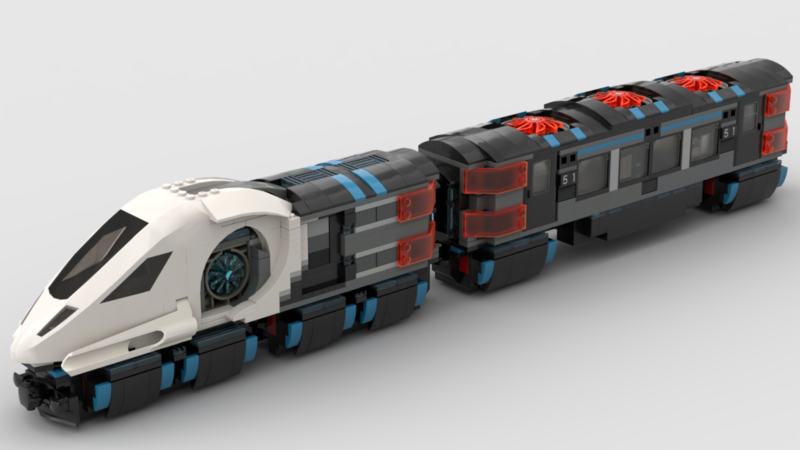 Designed to run on standard tracks with flush wheel coverings to give the appearance of being a maglev or similar style train.